The strength of the DynaPro is a combination of process and design. The DynaPro is stress-flow forged from premium grade billet. Stress-flow forging realigns the grain structure of the metal within the contour of the body design. This process produces a part with superior strength over parts simply machined from straight grained blocks of billet. The FEA generated body design incorporates a highly fortified radial transition that eliminates steps and shoulders between the piston housings and the bridges. Incorporating a radius in this critical area substantially increases resistance to deflection and caliper body separation under load. Structural deflection and volume displacement testing have proven the efficiency of this innovative design. Reductions in overall deflection, and the subsequent decreases in fluid volume displacement, translate to increased clamping efficiency with less pedal travel. 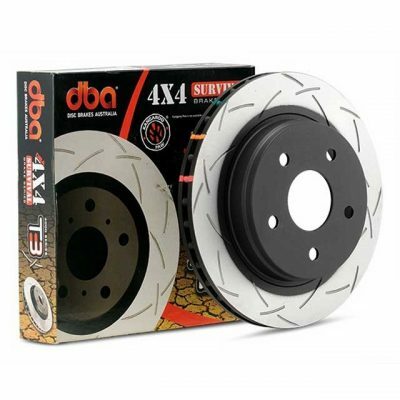 The bottom line is a firm, responsive pedal with outstanding stopping power. The DynaPro is loaded with other enhancements for performance and wider application. 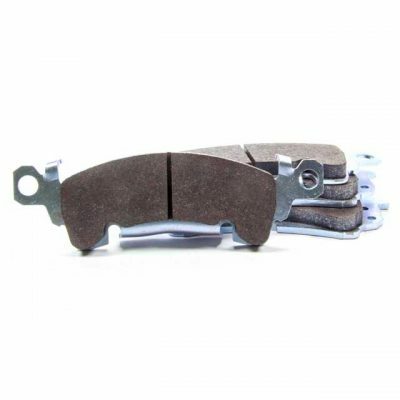 The calipers feature Quick-E-Clip pad retainers that support a 7812 type brake pad from the top. 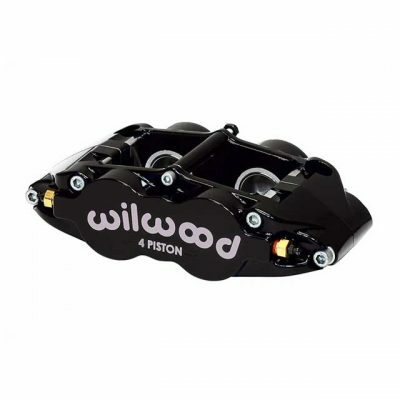 Not only does it allow for fast pad service without caliper removal, the bottom pad supports have been removed to create a slimmer profile that can be more easily fitted into tight clearance applications. Heavy wall stainless steel pistons are used to resist corrosion and slow the heat transfer from the pads. 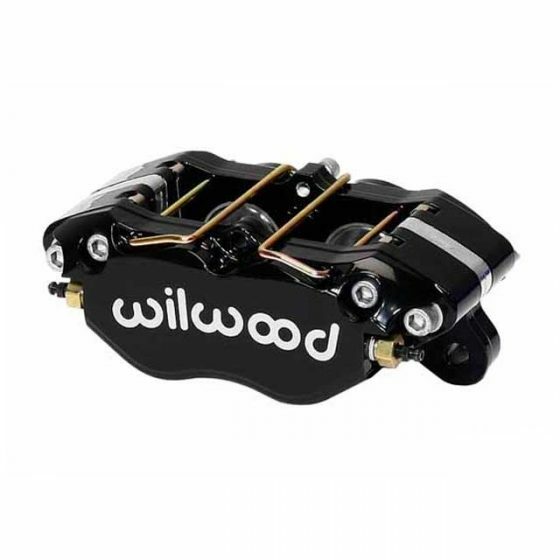 The heavy wall sectional thickness also provides additional strength against backside deflection to provide a firm pedal feel and efficient clamping, even at the high pressures generated by power boost systems. 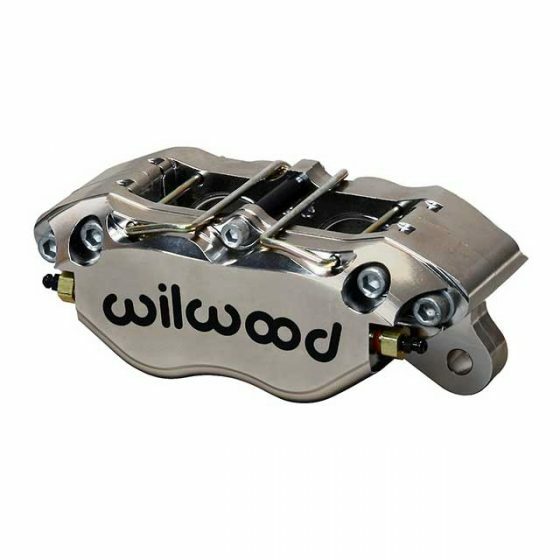 For additional strength, all DP calipers can be fitted with a center bridge bolt kit to provide even greater resistance against body separation under high load. 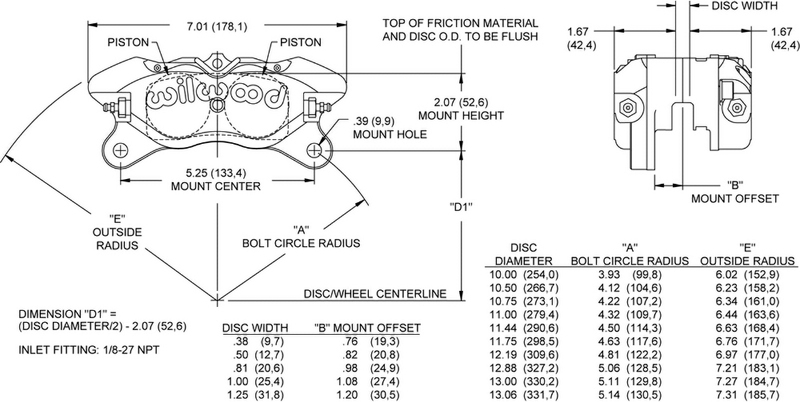 Center bridge bolts are included with all side inlet “SI” models and available as an upgrade option on all other models. 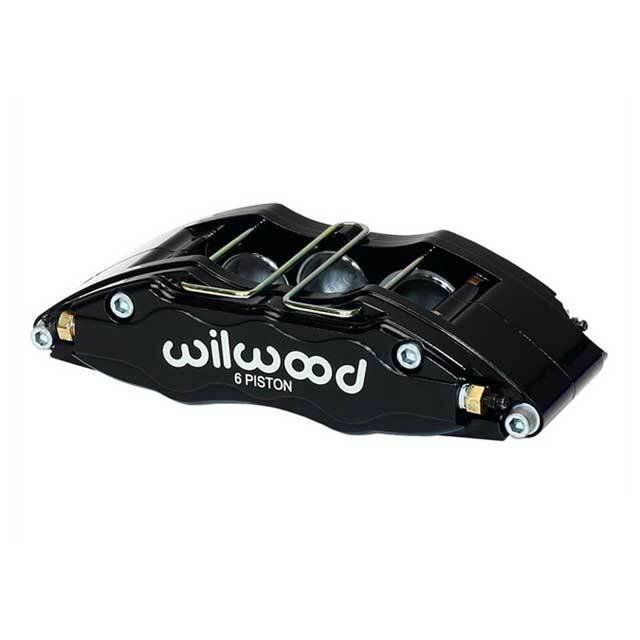 Each DynaPro is also fitted with Wilwood exclusive SRS bridge plates. SRS plates eliminate the bridge wear caused by pad gouging to extend the service life of the caliper body. The spring-loading action of the SRS plates also eliminates pad rattle and dampens the vibration harmonics that contribute to squeal during engagement. The package is completed with internal fluid passages and four corner bleed screws that allow mounting in any front, rear, left, or right side position.